Imprisoning activists for peacefully voicing their political views is an ugly stain on Indonesia’s recent improvements in human rights. It’s out of step with Indonesians’ growing aspirations as a democratic and rights-respecting country. (Jakarta) – The Indonesian government should immediately release the more than 100 Papuan and Moluccan activists imprisoned for peacefully voicing political views, and change laws and policies to protect freedom of expression, Human Rights Watch said in a report released today. The government should act now to ensure that a European Union-Indonesia dialogue on human rights scheduled for June 29, 2010, in Jakarta will get off to a successful start, Human Rights Watch said. The 43-page report, “Prosecuting Political Aspiration: Indonesia’s Political Prisoners,” is based on more than 50 jailhouse interviews with political prisoners conducted between December 2008 and May 2010. 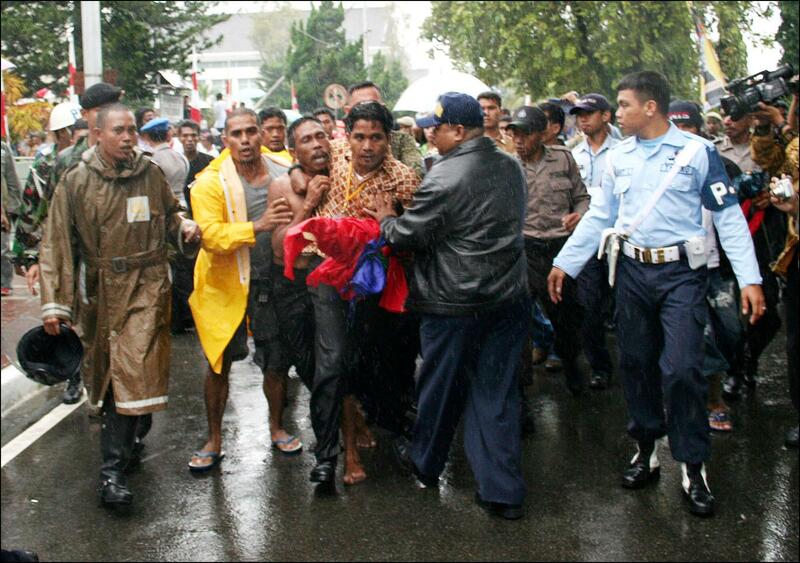 It describes the arrest and prosecution of activists for peacefully raising banned symbols, such as the Papuan Morning Star and the South Moluccan RMS flags. The report also details torture that many say they have suffered in detention, especially by members of the Detachment 88/Anti-Terror Squad in Ambon, as well as police and prison guards in Papua, and the failure of the government to hold those responsible to account. Human Rights Watch urged President Susilo Bambang Yudhoyono to drop all charges and order the release of all political prisoners, revoke provisions of the 2007 regulation banning peaceful display of symbols, and take additional steps to enhance the rule of law. Other concerned governments have important roles to play to monitor the situation of Indonesia’s political prisoners, especially those who have suffered torture and ill-treatment, Human Rights Watch said. The EU should publicly raise their concerns about these cases and the underlying laws during the human rights dialogue, the first between the EU and Indonesia. In one case described in the report, Johan Teterisa was sentenced to 15 years in prison for treason for his role in unfurling an RMS flag in a public dance in the Southern Moluccas on June 29, 2007. Asmara Nababan, a former secretary-general of the National Commission on Human Rights in Jakarta, said the Ambon judges had failed to consider that Teterisa’s actions were non-violent. “I used to be a bureaucrat myself,” Karma told Human Rights Watch. “But I have never experienced such [use of] a red tape on a sick man.” To date, he has still not had the required surgery. The Indonesian provinces of Papua and West Papua (referred to collectively here as “Papua”) occupy the western half of the island of New Guinea. Unlike the rest of Indonesia, which gained independence in 1945, Papua was under Dutch control until the 1960s. On December 1, 1961, the Papuan Council, a representative body sponsored by the Dutch colonial administration, declared that Papuan people were ready to establish a sovereign state, and issued a new national flag called the Morning Star. Indonesia’s president at that time, Sukarno, accused the Dutch of trying to create a “puppet state” and ordered Indonesian troops to invade Papua. The US government intervened diplomatically, and after negotiations, Indonesia and the Netherlands agreed to have the United Nations organize a referendum in Papua. The UN-sponsored “Act of Free Choice” took place in 1969, but only 1,054 Papuans, hand-picked by the Indonesian government, were certified to vote. They voted unanimously to join Indonesia. Many Papuans consider the “Act of Free Choice” a fraudulent justification for Indonesia’s annexation of Papua.